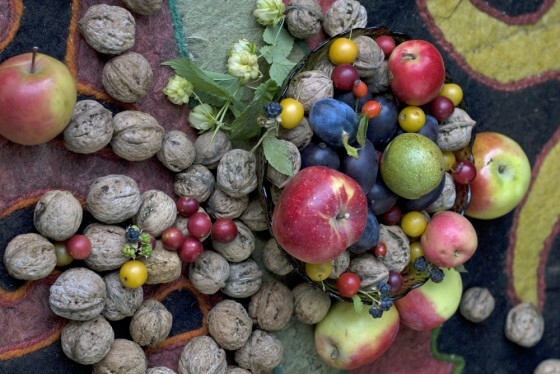 The ancient fruit and nut forests of Central Asia contain the living ancestors of many now domesticated fruit and nut varieties, including the apple, apricot, pear and walnut. The Global Trees Campaign has been working in the region since 2005, catalysing greater awareness and action for threatened trees in Kyrgyzstan and Tajikistan. The fruit and nut forests of Central Asia contain the living ancestors of domestic apples, pears, walnuts, almonds and other important food trees. These wild varieties of domestic crops may contain resistance to pests and plant diseases important for meeting the challenges of food production in the future. However these forests have declined by 90% in the last 50 years and are threatened by destructive activities such as overgrazing and the unsustainable collection of fire wood. This region is home to 67 threatened tree species and the Global Trees Campaign (GTC) has been working with several species within this landscape since 2006, with projects in both Kyrgyzstan and Tajikistan. Present work in Kyrgyzstan is focussing on two key forest blocks; Kyzyl Unkur and Sary Chelek and through the support of the University of Bournemouth, in the Tien Shan region. 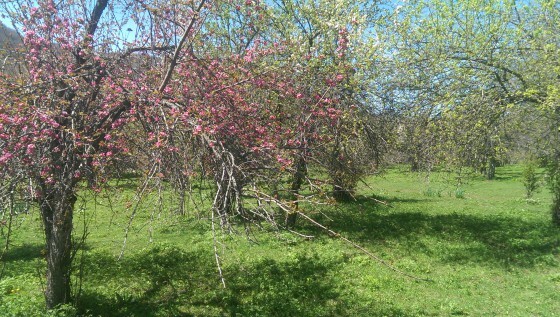 Surveys have revealed the presence of a fragmented and vulnerable population of the threatened Niedzwetsky’s apple (Malus niedzwetzkyana), with only 117 individuals remaining in Kyrgyzstan. Fruit and nut forest, Kyrgyzstan. Credit; GTC. In Tajikistan, surveys in Childukhtaron forest have confirmed populations of the Critically Endangered Bukharan pear (Pyrus korshinskyi). Our partner Zan va Zamin is pioneering forest restoration activities with local communities. They are building tree nurseries in local schools and setting-up eco-clubs of school children to oversee the planting of young trees into the forests, boosting populations of these rare trees and increasing pride and awareness of their importance. Projects in Kyrgyzstan and Tajikistan are supporting the conservation of a wide range of wild fruit and nut trees. Credit: Jason B Smith. Amidst economic and political instability it is often the long-term future that is overlooked, but this is something we are mindful of in all our project activities.